Follow The Fiber Trail & Get Woolly This Spring! 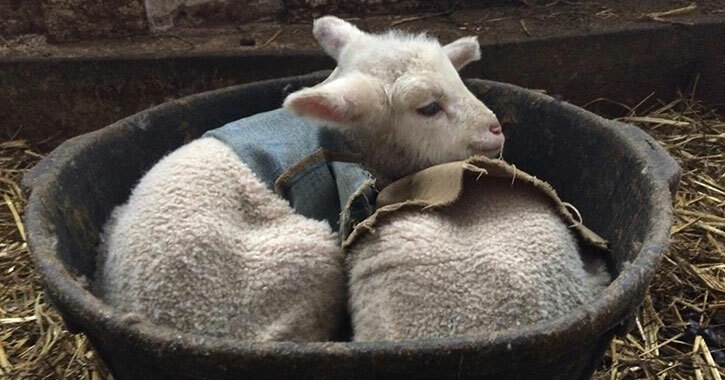 Have you ever wrapped yourself in a warm and snuggly fleece blanket? Maybe you own a pair of cozy wool socks you just can’t live without. Chances are you do, but did you know these soft, supple products and more are produced using animal fiber, like sheep’s wool and alpaca fleece? In the Glens Falls Region, Washington County is one of the top producers of these fibers, and if you want to get a first-hand look at the long-standing tradition of turning fibers into yarns and textiles (and all the adorable farm animals involved), then pack up the car and take the family on the Annual Fiber Tour! Get a sneak preview below of everything there is to see and do during this fun-filled weekend, April 27-28, 2019. Since at least the early 1800s, local farms have raised sheep, goats, bunnies, and alpacas to collect their fiber and transform it into beautiful yarn and other premium textiles. While the region’s many textile mills have faded into history, the textile tradition is kept alive by farms that continue to raise the fiber-producing animals, and the people who re-invest in the community and support their neighboring fiber farmers. Small lambs, baby goats, fluffy bunnies -- is there anything cuter? If you've been smitten by the many YouTube videos of prancing baby goats, then here's your chance to see them up close! Spring is the perfect time to visit when the lambs and baby goats are out and about. 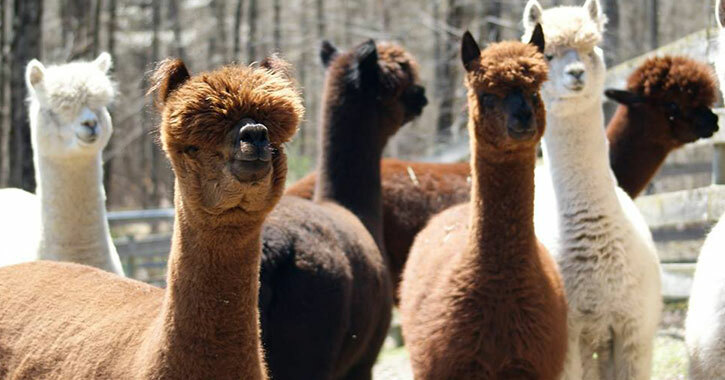 During the open house-style weekend of the Washington County Fiber Tour on April 27-28, visitors will be able to interact with the newest animals as well as majestic alpacas and friendly sheep. In addition, the farmers and artisans will also present demonstrations of shearing, bunny clipping, spinning, weaving, and so much more. At some stops, you'll even have the chance to experience the tradition yourself with hands-on activities. Can't wait to take the tour and visit a few of the stops? Get a preview of the participating locations below! 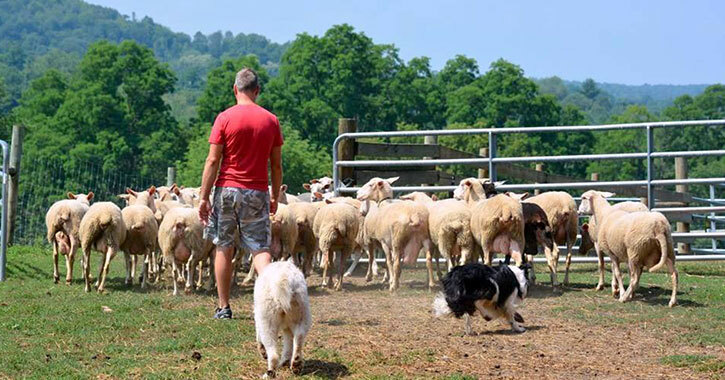 Owned and operated by Jody Somers and his family, Dancing Ewe Farm in Granville is best known for their production of Tuscan-style Pecorino, a raw sheep’s milk cheese. However, the farm wasn’t always one of the region’s top cheese producers. When Somers purchased the farm in 2000, it was a run down dairy farm; since then, the property has been given new life. Dancing Ewe Farm is now home to 100+ Friesian-cross ewes (female sheep), and in addition to their cheese products, the owners also collect fiber from their sheep. Their ewes produce a medium-grade fleece that is used to produce wool blankets, vests, and other garments. 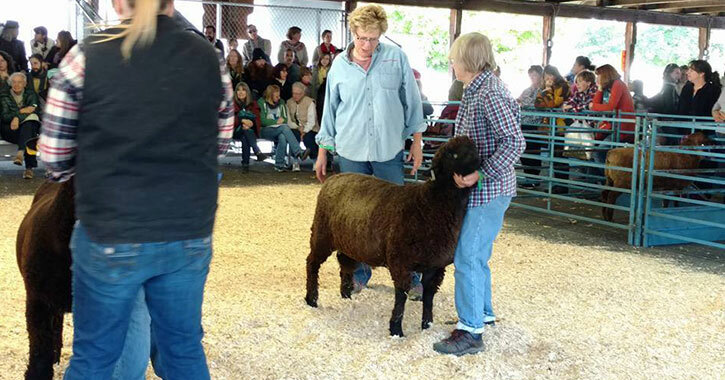 As part of the Washington County Fiber Tour, the farm will offer a wide range of activities, such as shearing and wool demos, and lunch will be available by reservation only. Wedding Hill Farm, LLC is owned by Phil Gitlen and Mel Mackenzie who pasture raise registered Romney sheep. Their farm family includes about 40 natural and white breeding ewes, and if the timing is right, there should be some newborn lambs during this year's Fiber Tour. Visit the farm in Greenwich; it's located about 1/3 of a mile down a private driveway. While you’re in the Granville area, be sure to take a short drive to Dandy Gander Farm in North Granville. This alpaca farm was founded in 2015, and they currently have over 40 alpacas on site. Stop by and say hi to their family of alpacas, sheep, chickens, geese, and ducks! Located on a ridge with spectacular views of the countryside and Vermont mountains, Quarry Ridge Alpacas in Salem is home to award-winning alpacas. 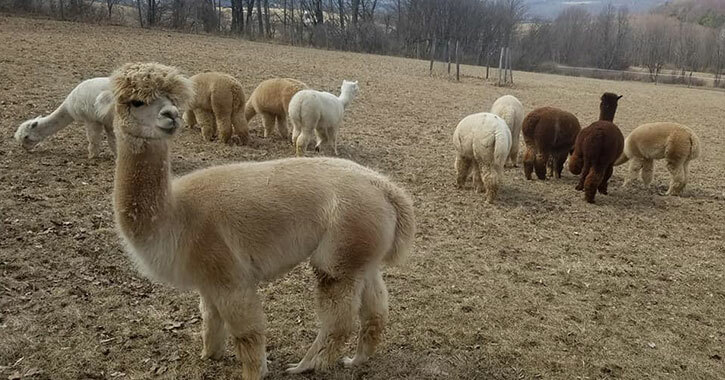 However, what makes this herd of multi-colored alpacas stand out is that they come from renowned bloodlines and produce some of most luxurious and finest fiber around. The farm uses the fiber to create raw fleeces for hand-spinners and both alpaca and alpaca-blend yarns in multiple colors. On the Fiber Tour, you’ll get to meet the alpacas and some special guests too: llamas and bunnies! Kids and adults will also have the chance to participate in activities. Take a journey to the Fiber Kingdom in Salem and step inside the fiber studios and shops in their 18th century and 19th century barns. Whether you’re on the hunt for luxury fibers, a new spinning wheel, a loom, knitting needles, or even instructions on how to kick-start your next project, this is the place for you. 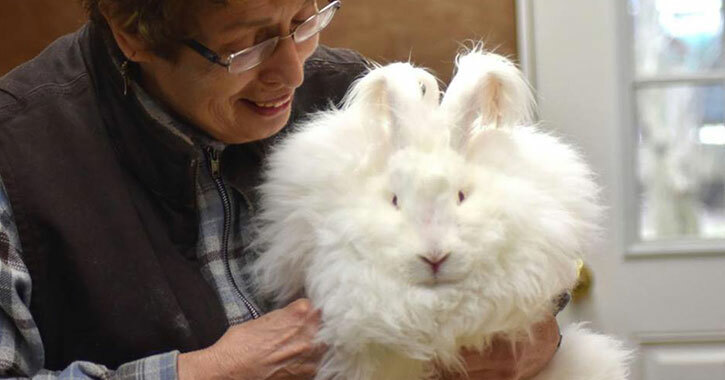 Best of all, the Fiber Kingdom is home to a working flock of colored and white Angora rabbits, which are raised for their long fibers (known as Angora wool). There will be demonstrations of bunny clipping, fiber spinning, and weaving throughout the Fiber Tour weekend. If you travel to the Fiber Kingdom in Salem during the Washington County Fiber Tour, then you’ll also have an opportunity to meet the animals from Moments in Time Creations Farm, which will be on-site for the event. Moments in Time Creations Farm raises Icelandic sheep and Bluefaced Leicester sheep for their high-quality fiber. The farm's products include fleeces, roving yarn, and other types of yarn in the natural color of the sheep. Bring the kids to see the spring lambs and meet the farm’s family. Ensign Brook Farm is a locally-owned and operated sheep farm near the banks of the Hudson River in Greenwich. The farm’s flock features a variety of breeds, including Cormo, Merino, and Romney sheep, which are prized for their wool. While the Romney sheep produce long-staple fiber, the Merino and Cormo sheep produce loftier fiber. During the Fiber Tour, the farm will be open for visitors to view their fiber, finished products, and flock of sheep and spring lambs. On Saturday, there will be a shearing demonstration. The Sisters of St. Mary in Salem began raising their now award-winning cashmere goats back in 2004, and since then, their farm has continued to grow. These goats produce long-staple, premium cashmere, which is then made into blended and roving yarn. It’s always a fun time at St. Mary’s on-the-Hill Cashmere during the Fiber Tour weekend! You can watch the baby goats frolick across the field, meet their Guardians (Great Pyrenees), and purchase some cashmere, wool clothing, and other products too. A bake sale will be featured to support the 4-H Club and their activities. 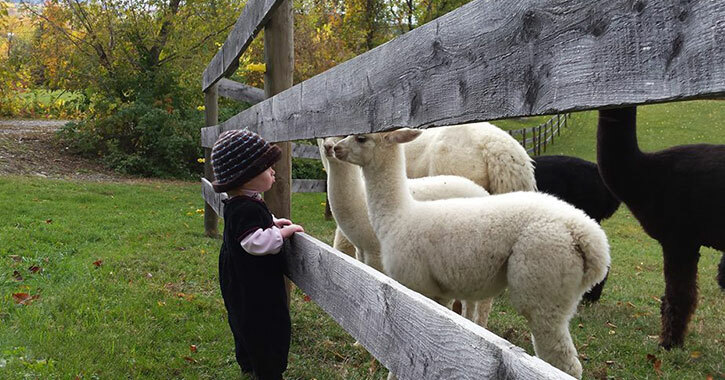 Located across 74 scenic acres of land in Greenwich, Alpacas of Haven Hill is a family-run farm that was established back in 2003. Owners Judy Leon and Kim Atkins believe everyone needs to have some alpaca in their life, so their line of products includes sweaters, socks, hats, and more - all made using luxurious alpaca fiber. Join the farm on the Fiber Tour, meet their friendly alpacas, and try some hands-on activities, such as creating felted soap and weaving with a triangle loom. Refreshments will be available for visitors. As you follow the fiber trail through Washington County, don’t forget to stop by one of the area’s top commercial mills - Battenkill Fibers Carding and Spinning Mill in Greenwich. The full-scale mill provides custom carding and spinning services for fiber farms around the region, and they produce artisan quality yarn using their semi-worsted machinery. The Washington County Fiber Tour is a great opportunity if you’ve ever wanted to see how locally-sourced fiber is sorted, washed, and picked at a mill. Kids will love the hands-on fiber processing activities, and you can purchase factory seconds as a reminder of your visit. Although Elihu Farm is the only stop on the Fiber Tour in Easton, that doesn’t mean you shouldn’t take the time to drive on over. This local farm features 150 beautiful acres in southern Washington County, and they are always happy to meet with fiber artists, shepherds, and families who are interested in learning about the tradition. Elihu Farm is renowned for raising purebred and prize-winning Romney and crossbred sheep that produce exceptional fleeces. Come see the animals, purchase some products, and on Saturday, if you bring your own spinner, you can join the Roc Day Guild for hands-on activities.